Must I choose between them? Shoes outside places of worship tell two very different tales in these two recent news photos. 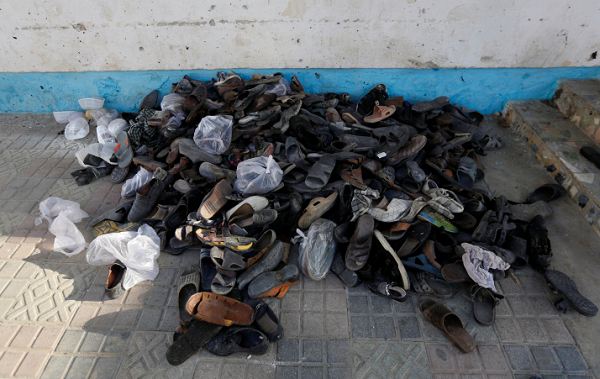 The shoes here are those left behind by worshippers who entered the Shiite mosque in Khair Khana area of Kabul, Afghanistan, which was blown up by ISIS. The death toll was 43 as I am writing this. 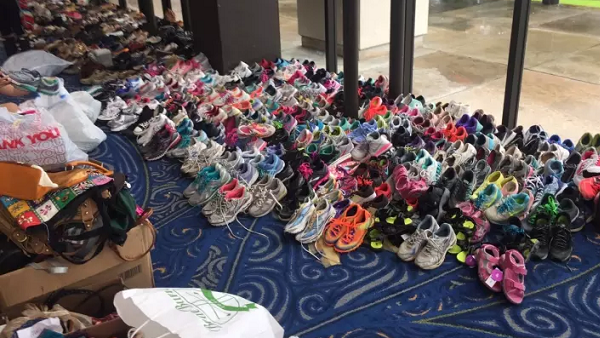 This picture is of shoes donated for those in need of them at Joel Osteen‘s Lakewood Church, which had taken something of a PR beating after Osteen said it hadn’t been opened as a shelter because the authorities hadsn’t requested it — whereas many Houston area mosques were openws without any official request begind given. The speed, tone, and volume of criticisms leveled against Osteen and Lakewood Church speak to the seriousness of the flooding crisis in Houston, but also to a larger powder keg of resentment directed at a particular strain of American Christianity — Osteen’s pro-wealth prosperity gospel, and the larger evangelical movement it’s associated with — that many see as failing to be charitable to people who are truly in need. That’s worth pondering — the backlash in itself is a significant “marker” in the sociology of American religion. WWJD? — Matthew 6.19-21, anyone? Where’s Osteen’s treasure? About an hour ago I posted Economics as if spirit matters most, with a DoubleQuote drawing a parallel between Zen Buddhist monastic tradition and that of the Desert Fathers of the Church. Anam Thubten is a Tibetan Buddhist teacher, and it is his Sweetwater Sanctuary retreat that was destroyed in the Soberanes fire. 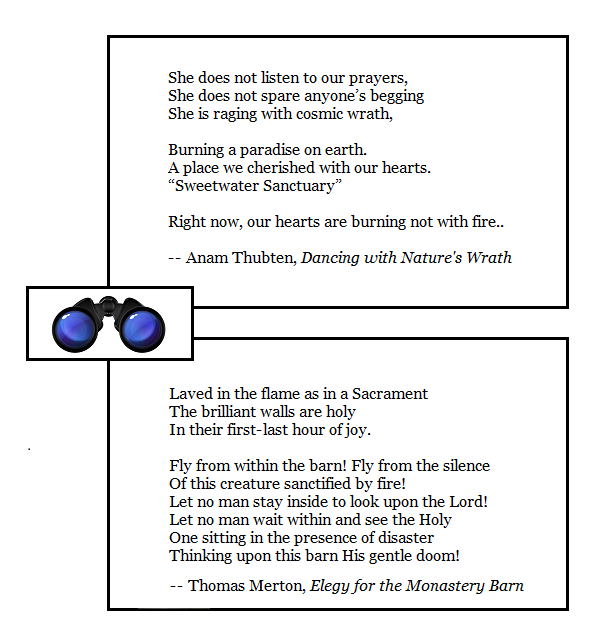 Thomas Merton was a Catholic Trappist monk, and the barn that burned was at his home monastery, the Abbey of Our Lady of Gethsamani in Kentucky. 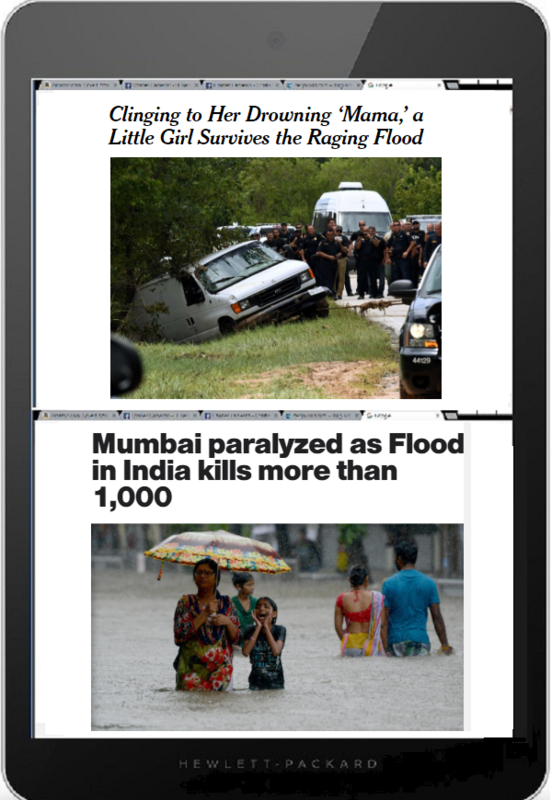 Both poems are worth readong in full. disbelieve in any kind of God, but recognize Nature as a catchall term for the Whole System. and if the second, whether the and marks a distinction between Nature and nature’s God, or also covers the possibility of their being one and the same. And once we’ve cleared that up, and bearing in mind that John Donne could write “At the round earth’s imagin’d corners” — thus conflating the old, imaginative, square earth with the new, scientific, spherical one — how feasible do you think it is to hold simultaneously the idea that a given earthquake, hurricane, tsunami or volcanic eruption is an act of God and a natural disaster? 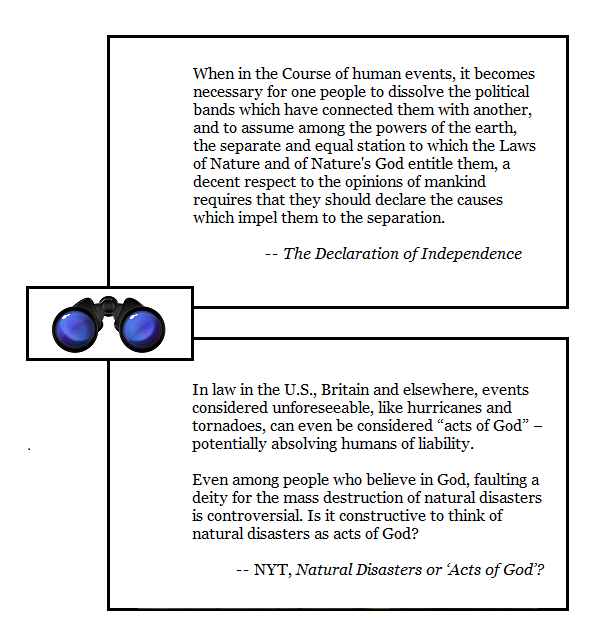 November 18, 2013, Room for Debate: Natural Disasters or ‘Acts of God’?